The PCL-240 series has been discontinued. 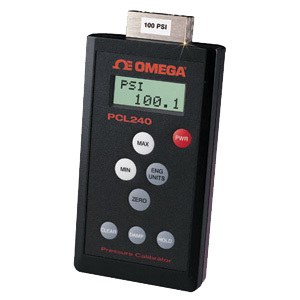 Please see the DPG4000-KIT in combination with PCL1000.html a as comprehensive calibration solution or contact our Pressure Engineering department. 참고: PCL240's and CL250 include a flexible protective sleeve, batteries, calibration certificate, and complete operator’s manual. Pressure calibration kits include hand pump and hard plastic carrying case.